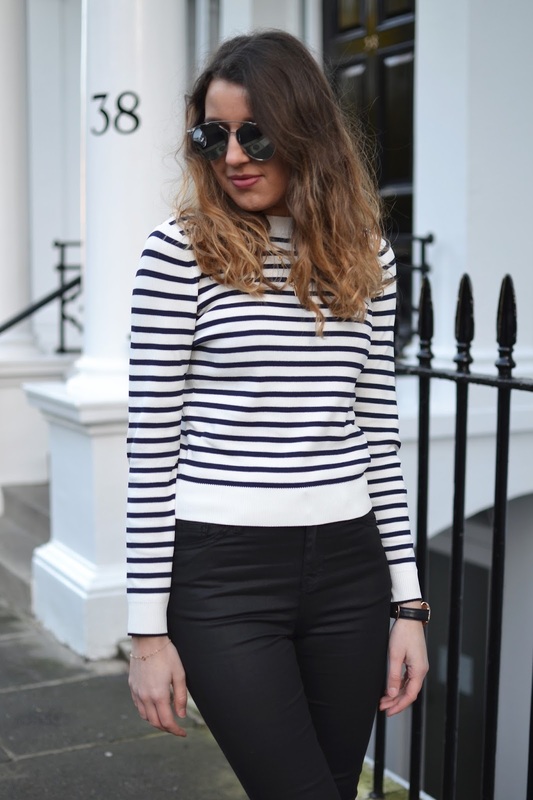 There is something so effortless about a striped jumper and it's a key staple that can be worn with so many pieces in your wardrobe. Tucked into high waisted skirts or worn with jeans, the possibilities are endless. With the cold weather well and truly upon us, I decided it was time to purchase another pair of black jeans. A trusted winter staple. Let's face it, jeans are pretty much what I live in during the colder months. 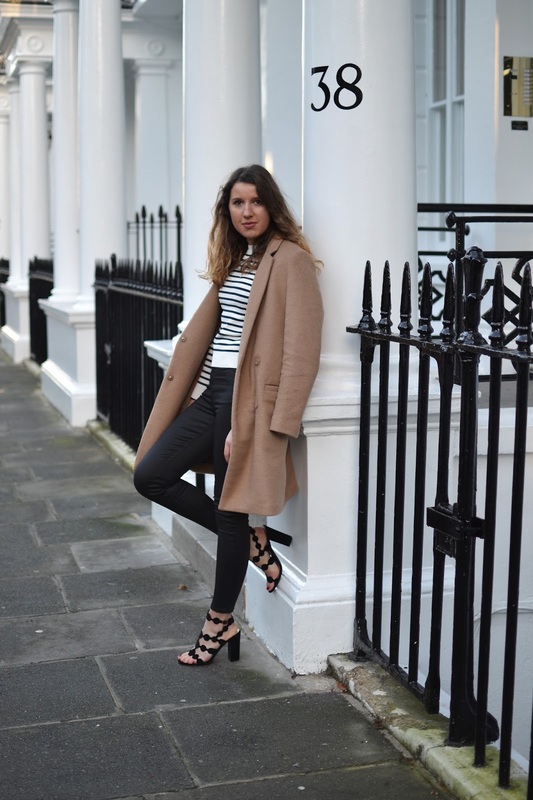 When in Topshop, I spotted these coated Jamie jeans worn in today's blog post. At a closer glance, they look almost leathery and I love the added texture they bring to any outfit. Not to mention they are a great alternative to leather trousers if these are too daring for you. 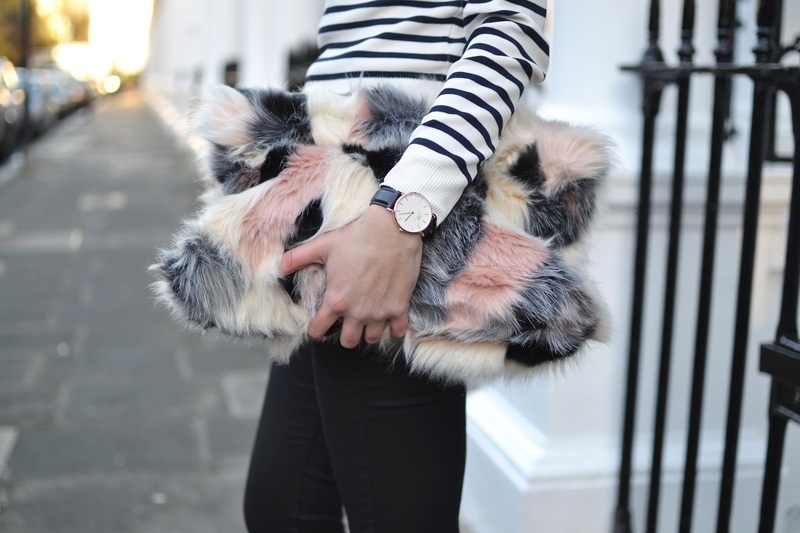 My fabulous faux fur clutch has made another apperance in today's outfit but what can I say I just love it. such a fab outfit, love this jumper! Gorgeous very chic love the coat!